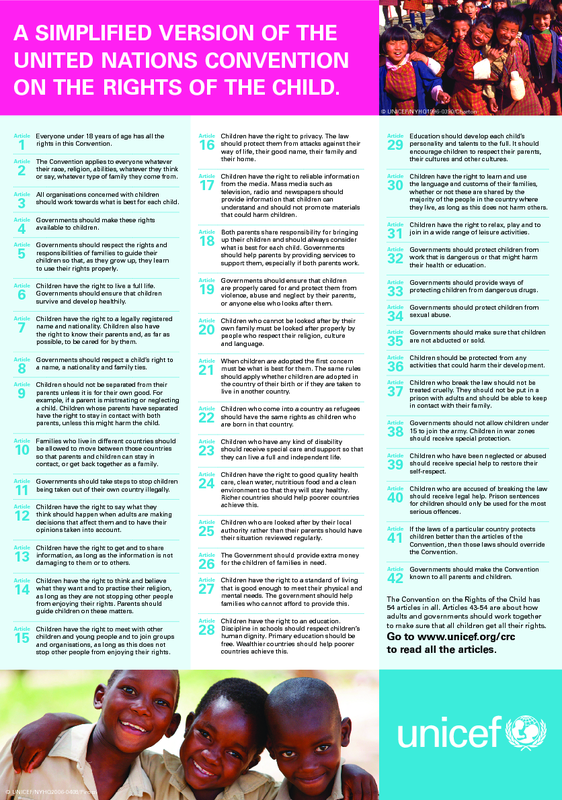 This is the summarized child-friendly version containing all the articles of the UN Convention on the Rights of Children. It guarantees the protection of children all over the world. It was signed in November 1989 by 140 countries, Kenya being among them.